Is your Tumble Dryer Ready for a Rainy Day? In rainy autumnal weather tumble dryers are likely to be used more often than in the summer months. But before you start using your tumble dryer regularly again, these are the simple maintenance tasks to carry out to keep it running well. There are three main functions of a tumble dryer: heating, spinning and drying (the clue is in the name for the third one). So if your tumble dryer has stopped doing one of these three things you’ll need to investigate. Here are some common problems which could be the cause of your tumble dryer woes. Why Is My Tumble Dryer Making a Rumbling Noise? Roughly 16.5 million households in the UK own a washer-dryer or tumble dryer, and 54% of those who own such an appliance admit to using it during the summer months. Such an appliance can be great for getting laundry dry when the weather is less than impressive, but what do you do when yours starts to show signs of a fault? Roughly 60% of households in the UK own a tumble dryer, enabling them to dry their washing whatever the weather. 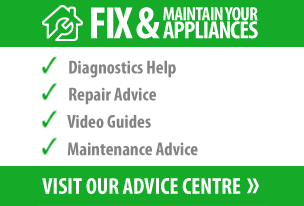 But, as with all appliances faults can develop, meaning the appliance no longer works as it should. Household laundry is one of the biggest sources of energy cost for homeowners, and there are roughly 14 million households using electricity to dry clothes. Come winter, drying your washing can seem like an uphill battle. But with a fully functioning tumble dryer, there’s no reason why you cannot get your washing dry and prevent your laundry basket from overflowing.